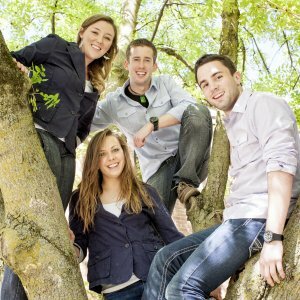 DOUBLE your gifts to help IWU students from your church! 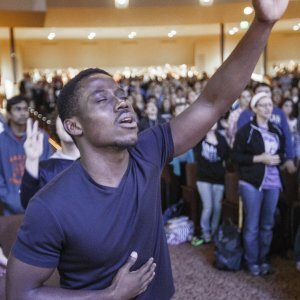 The call for local churches to disciple believers in their congregations doesn’t stop when they go to college. At Indiana Wesleyan University, we are committed to aiding church communities and their mission to nurture members. That's why Indiana Wesleyan University will match gifts made through your church—dollar for dollar up to $1,500*—to help students from your congregation achieve an IWU degree and redefine greatness. That means your gift of up to $1,500 today to your Church Matching Scholarship fund will be DOUBLED to help your church’s Indiana Wesleyan University student receive a world-class education grounded in Christian principles. …Which means you don’t have to touch your congregation’s budget to take advantage of this matching scholarship opportunity! Check our FAQ page to see how. Helping students and families afford the college education they want is a top priority for us at Indiana Wesleyan University. 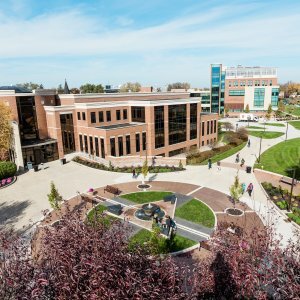 And thanks to generous financial aid packages and unique scholarships, like this Church Matching Scholarship, attending IWU is on par with what you would expect to pay at one of Indiana's public universities. Start your congregation’s Church Matching Scholarship today, and begin building your matching account! *We match church scholarships dollar for dollar, up to $1,500 per student, per academic year for Wesleyan denominational churches and up to $1,000 per student, per academic year for all other churches. Help redefine greatness in your church’s college students! DOUBLE your church’s gift to help your college student achieve a world-class education based on a solid Christian worldview by filling out a Church Matching Scholarship award form. And be sure to request an Indiana Wesleyan University student ministry team to come and bless your church, youth group or small groups! Have questions? Please visit our page of frequently asked questions. We think that you’ll find what you’re looking for there, but if not, feel free to reach out. IWU student ministry teams travel all over the world ministering through music and dramatic arts. Read more about bringing IWU’s students to your area. Can’t find the answer you’re looking for? Please contact us so we can help you!